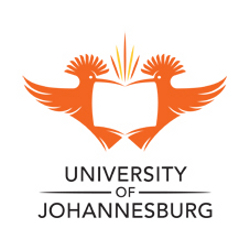 The class of 2014 of the affiliated high school to the University of Johannesburg (UJ), UJ Metropolitan Academy, produced a 100% pass rate with the release of the national and provincial Grade 12 results by the Minister of Basic Education, Angie Motshekga. This is the 20th year a 100% pass rate was obtained since the School’s inception 23 years ago in 1992. The class of 2014 did itself proud with 94.4% of the class passing at the level required for entry to Bachelor’s degree studies, and 5.6% obtained Diploma endorsement, which means that all learners qualify to study at tertiary level. A total of 126 distinctions are among the reaped fruits. Two of the learners achieved eight distinctions, three six distinctions and other three learners obtained five distinctions. Six of the learners achieved four distinctions. A further nine learners obtained 3 distinctions, 10 obtained 2 distinctions and 14 obtained 1 distinction. “The success of the school can be contributed to strong and visionary leadership and committed teachers who care deeply about the academic and personal well-being of the learners,” says Prof Sarah Gravett, Executive Dean of the Faculty of Education at the University. The Faculty serves as the school’s custodian.